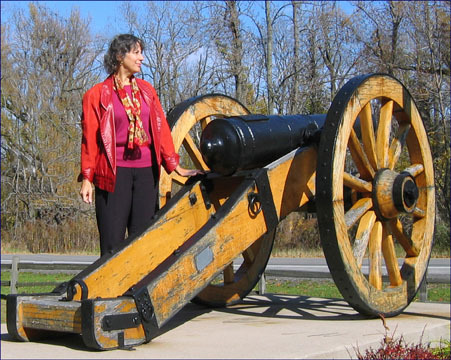 Sackets Harbor, N.Y. - On Friday, July 29, 2011 at 6:30pm at the Great Lakes Seaway Trail Discovery Center at 401 W. Main Street in Sackets Harbor, NY, author and lecturer Raya Lee presents "War of 1812: Fury, Frenzy & Honor." Lee&apos;s presentation is a combination of American history lesson and Great Lakes Seaway Trail travelogue appropriate for all ages with documented images and music. The program is free for all with co-sponsoring by the Seaway Trail Foundation, New York Council for the Humanities Speakers in the Humanities Program, and the NEA Blue Star Museum initiative. "As the United States and Canada prepare to observe the bicentennial of the War of 1812, I am pleased to share the dramatic stories of the struggle that included ‘Old Ironsides,&apos; the defeat of Tecumseh, and the heroism of Dolly Madison," Lee says. Lee is the author of Pan-American Exposition, a Bird&apos;s-Eye View of Sights and Sounds and Buffalo Philharmonic Orchestra - the First 75 Years, published by the Buffalo Heritage Unlimited Press. Lee, who often lectures on War of 1812 history with examples of appropriate music for the time period, has served as a librarian with the Buffalo Philharmonic Orchestra, the Buffalo & Erie County Public Library, and Medaille College in Buffalo. For more information on the Great Lakes Seaway Trail National Scenic Byway and the Discovery Center, go online to http://www.seawaytrail.com/, http://facebook.com/seawaytrail and http://twitter.com/#!/SeawayTrail or call 315-646-1000.